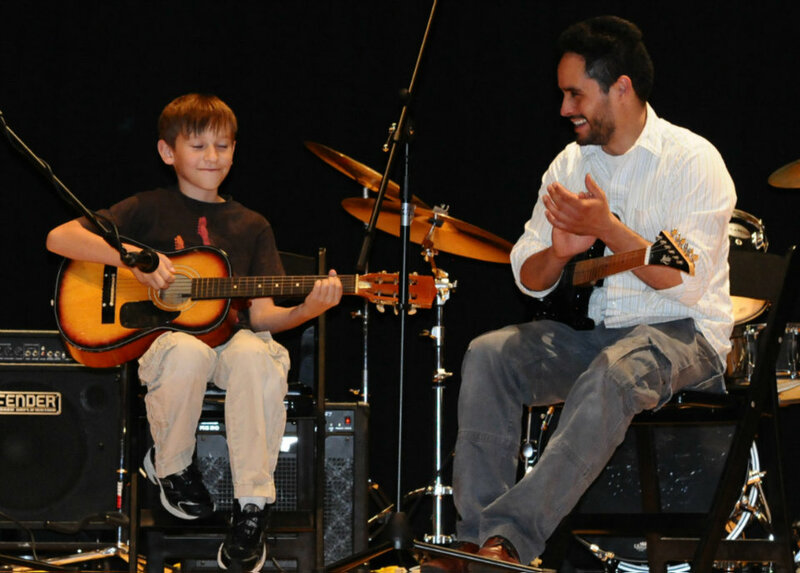 Rock Band program provides music instruction in addition to giving students the support to prepare for the stage. With seasoned band coaches experienced in the art of live performance, bands generally practice two to four hours per month. Various performances to showcase our bands' talents are regularly scheduled by the school. You can find some of the showcases on our YouTube page, including a cover Should I Stay Or Should I Go. If you are interested in joining or starting a band, please contact our office at 330-653-3676 to schedule an audition. Jazz Ensemble is a weekly class, led by Alex Hoyt. It focuses on learning and practicing the skill of improvisation in the style of jazz. Students will learn how to apply harmonic theory with melody and solo construction, as well as the intricacies of jazz rhythm and articulation. The small group performs at school events and other venues as decided by the group and instructor. Interested in expanding your music knowledge or joining this ensemble to gain performance experience? Please contact our office at 330-653-3676. Our summer programs and camps are carefully selected by our staff to suit the interests and needs of our student base. Past offerings have included rock, jazz and string camps. Please join our mailing list to receive information about our next camp season. Masterclasses are an opportunity for students to receive one on one coaching from a master musician in a classroom setting. Our masterclasses coincide with our jazz, rock and summer programming and are scheduled based upon the interests of our students. These classes are only open to currently enrolled students at the Hudson or Fairlawn School of Music. Kindermusik of the Western Reserve, a Maestro award winning program, partners with the Fairlawn and Hudson Schools of Music to offer classes for families filled with singing, dancing, laughing, instrument playing, and storytelling. Backed by Kindermusik International’s team of early childhood music experts, these classes use the latest research on how children learn best. Please visit Kindermusik's website for additional information.